It has been a hard day's fight, but a group of Japanese Beatles fans have lost their bid to get police to hand over historic footage of the band's 1966 Japan visit. The superfans took their battle for the film - recorded by police as a security measure - all the way to Japan's supreme court, arguing the images were a "historical document". 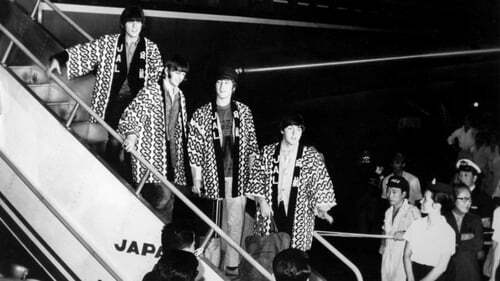 The Beatles toured Japan only once, playing five concerts, and were trailed across the country by legions of screaming fans. A lawyer for the group seeking the footage said it would have huge historical significance for Beatles enthusiasts. "It is a document that should be made available from a historical standpoint," lawyer Satoshi Shinkai told the Asahi Shimbun newspaper. "The final concert given on July 2 was apparently electrifying," added fan Toru Omura, who has written books about the impact of the group's tour. "If confirmation can be made of the existence of footage from that day, there would be huge excitement," he told the newspaper. The Beatles remain popular in Japan, and former group member Paul McCartney arrived in Tokyo this week to kick off his new world tour.